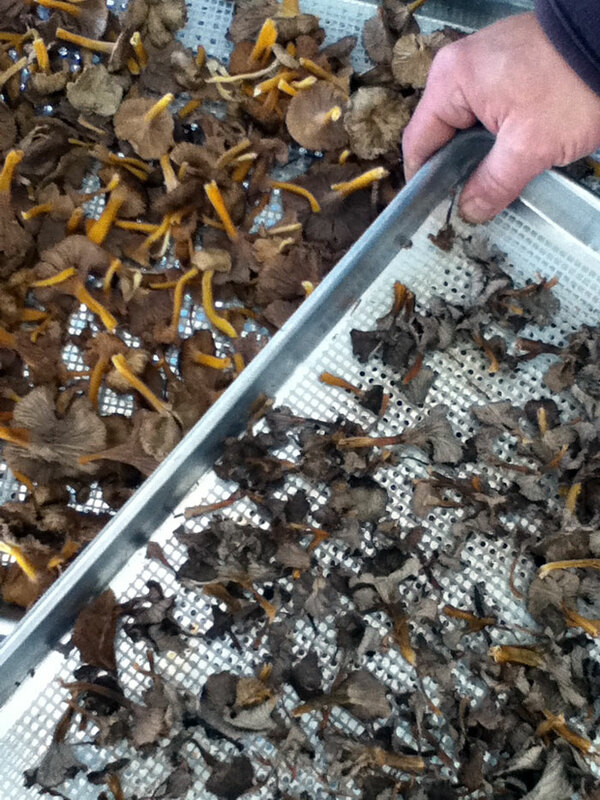 Wild mushrooms are food products associated with five major risks that must be properly controlled to ensure food safety for consumers through identification, safe and hygienic conditions at harvest, hygienic conditions throughout processing and packaging, health conditions of pickers and plant workers, and storage conditions in distribution networks and market stalls. The first four critical elements directly concern processing and packaging plants. Identify containers used for the storage and sale of mushrooms with the name of the packaging plant, the license number of the company, the tracking number and recognized information, such as species name, quality grade, weight (or volume), and any other information relevant to the product. Matter refers to the origin, safety (elimination of corrupted or questionable food), traceability, labeling, temperature or product storage conditions. Work method refers to cooling, heating, cleaning, sanitation and elimination of cross-contamination. Pay attention to unwanted contamination that can affect product quality: have a dedicated fridge (single-purpose only); do not put mushrooms in contact with meat or raw fish. Wear clean clothing that is in keeping with food handling. Clean coolers and ice packs between uses. Keep a record of all vermin captured. Labeling that conforms to regulations in effect. Rooms used to refrigerate mushrooms are referred to as dry rooms as they do not involve the high levels of humidity required for vegetables or meat. The dehumidifier continuously removes moisture from the air and keeps mushrooms dry, thereby preventing the growth of surface mould or bacteria (pathogenic or otherwise). Fruit bodies lose weight, but shelf life is extended. On the label for frozen mushrooms: Keep frozen. A listing of specific use directions or warnings for the merchant or user may be recommended, as needed; for processed products, other information may be required by law, such as a list of ingredients, etc. Certification of compliance with the Requirements Specification on a voluntary basis for member plants is conducted every two years when, at the time of the company’s inspection, there are no major derogations detected and the plant demonstrates that any minor deficiencies are corrected in the weeks following inspection. If major deficiencies are found, the company must commit to correcting them and an inspection will take place during the next operating season. If a product intended for consumption is found to be non-compliant, it will be rejected and, if necessary, recalled. Records of procedures and products used to clean the premises or facilities and to control pests and vermin.